We’re back for another ‘Top Sport Stories Of The Week’, bringing you the top stories from your favourite sports. Let’s get under way. The Premier League kicked off again after the international break. 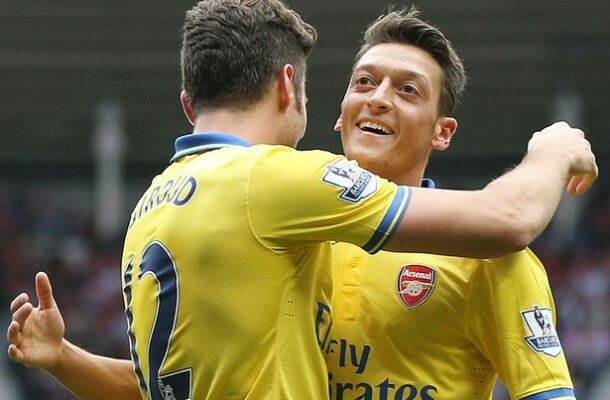 Arsenal managed to win 1-3 against Di Canio’s Sunderland as new boy Ozil got his first assist after 11 minutes of his debut. Manchester United beat Crystal Palace 2-0 causing controversy over a penalty decision when Ashley Young seemed to be fouled outside the box and was previously booked for diving. Everton beat title contenders Chelsea 1-0 with Naismith’s headed goal. Tottenham’s new boy Eriksen and Sigurdson’s brace helped Tottenham beat Norwich 2-0 comfortably. Stoke failed to score against a shaky Man City side as it ended 0-0. Newcastle beat Aston Villa 2-1 in a tight game where a goal and an assist (saved shot) from Ben Arfa just about won the game although Benteke scored. Newly promoted sides Hull City and Cardiff couldn’t decide a winner as they drew 1-1. West Brom scored their first Premier League goal of the season in a 1-1 draw with Fulham who managed to put the ball in the net 4 times (3 disallowed). A dominant Southampton side failed to get past an on-form Jaasekelainen as West Ham battled it out for a 0-0 draw. Monday night’s game between Swansea and Liverpool finished 2-2 when ex-Liverpool midfielder Shelvey was involved in all four goals, scoring one, an assist and two mistakes helped Michu, Sturridge and Moses score. 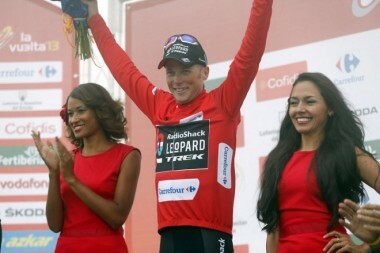 Radioshack rider Chris Horner (USA) became the oldest cyclist to win a Grand Tour, winning the Vuelta A Espana at 41 years old as he managed to gain a 37 second lead ahead of Astana rider Nibali (Ita) in the last few stages when Nibali‘s lead quickly diminished from 28 seconds to being behind 37 seconds. There was a mix-up with The USADA (United States Anti-Doping Agency) as Horner failed to attend a drugs test when testers went to the wrong hotel. As The Vuelta A Espana came to an end, The Tour Of Britain started with Cannondale rider Viviani (Ita) winning the first stage as Mark Cavendish was blocked off near the end. A crash meant that many of the riders near the front were given the same time. Sir Bradley Wiggins goes into Stage 2 9 seconds behind new leader Viviani. MTN Qhubeka rider Gerarld Ciolek (Ger) took the overall lead after winning the second stage of The Tour Of Britain just ahead of An Post-Chainreaction rider Sam Bennett (Irl) right at the end when a burst of energy just pushed Ciolek over the line. Great Britain rider Simon Yates (GBr) finished 4th, putting him in 2nd place overall. Sir Bradley Wiggins crosses the line 12 seconds behind Ciolek and is now behind him by 30 seconds in the overall classification. Javier Gomez (SPA) wins the 2013 world triathlon title after a sprint finish with Jonathan Brownlee (GBR). It is the Spaniard’s third world triathlon title of his career winning the previous two in 2008 and 2010. 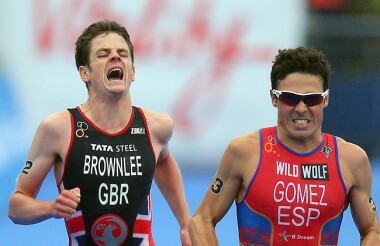 Thousands of Brownlee fans attended the triathlon in Hyde Park but were left disappointed in the miserable wet weather. Olympic gold medalist and Jonathan’s brother Alistair Brownlee suffered an ankle injury during the race missing out on finishing in the top ten overall standings. Alistair had been suffering from an ankle injury throughout the whole season. Mo Farah misses out on winning the men’s Great North Run half marathon after finishing runner up to Ethiopia’s Kenenisa Bekele. The double world athletics champion was closing down on Bekele with 200m left before the finish line but was just a little too late and had to face second place. 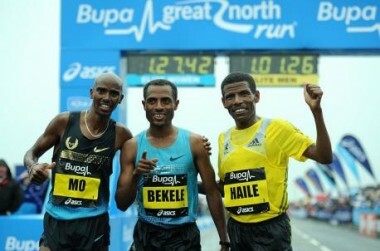 Bekele’s fellow Ethiopian Haile Gebrselassie finished the race in third after losing his lead with less than a mile to go. Farah’s efforts in the Great North Run are part of his preparations for next year’s London marathon as the 30 year-old hopes to gain glory on the road as well as achieving on the athletics track. 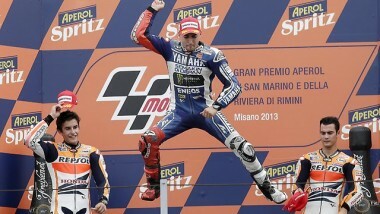 Jorge Lorenzo (SPA) wins the San Marino Grand Prix from championship leader Marc Marquez (SPA). It is the world champion’s second consecutive win as well as winning the British Grand Prix over a fortnight ago. Repsol Honda‘s Marquez and Dani Pedrosa (SPA) completed the podium by finishing second and third. The win for Lorenzo puts himself joint second with Pedrosa in the championship trailing 34 points behind young Marquez with 5 races remaining in the calendar. 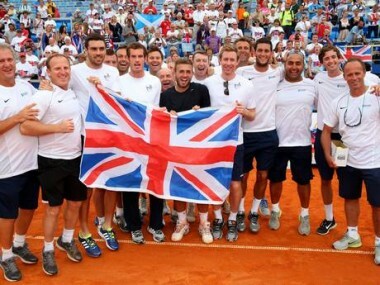 Andy Murray guides Great Britain into the world groups of the Davis Cup after a 4-1 series win over Croatia. The world number 3 comfortably beat Ivan Dodig in straight sets 6-4, 6-2, 6-4 sending Britain into the elite for the first time since 2008. Great Britain have also not won a single world groups meeting since 1986. With Andy Murray returning to the Great Britain squad it certainly gives the team a chance of going far in next year’s Davis Cup. Serbia and Czech Republic will meet in this year’s Davis Cup final on November 15th-17th. Efforts from world number 1 Novak Djokovic and Janko Tipsarevic helped the Serbian team overcome Canada 3-2 in the semi-finals while Czech Republic beat Argentina with the same scoreline, 3-2. 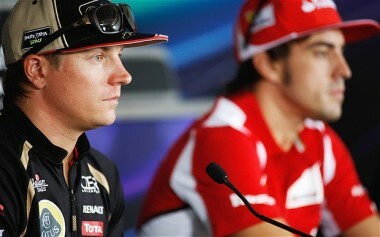 Ferrari have completed their line-up for the 2014 season with Kimi Raikkonen (FIN) rejoining the team partnering Fernando Alonso. The contract is believed to cover the next two seasons with Alonso’s contract to the team having the remainder of three and a half years until the Spaniard is out of contract. Alonso’s current team mate Felipe Massa (BRA) announced on his Twitter account that he was not going to be driving for the team in red in 2014 before the arrival of the iceman. Raikkonen spent two and a half seasons with the Italian team winning a world championship on his Ferrari debut season in 2007. The Fin will spend the rest of the season with Lotus after driving for the team for two years.